Place a sink pot (empty plastic nursery pot with holes) in the middle of your garden to create a well for easier and deeper root watering. This is especially helpful for squash. As the roots mature, they get deeper and deeper into the ground’s soil, making it harder for the water to reach in a dry climate. 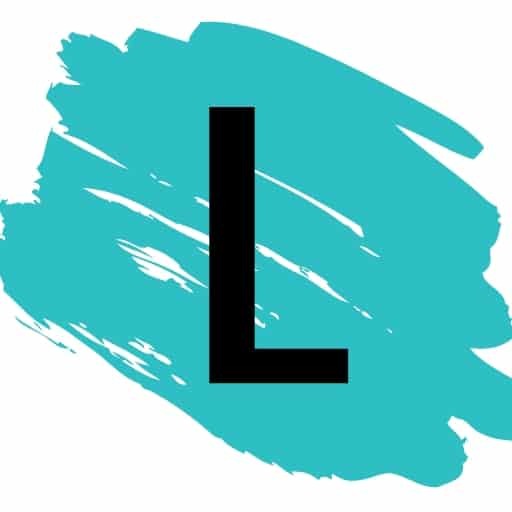 Read the full details here. Get your seedlings off to a good start with their very own little greenhouse! 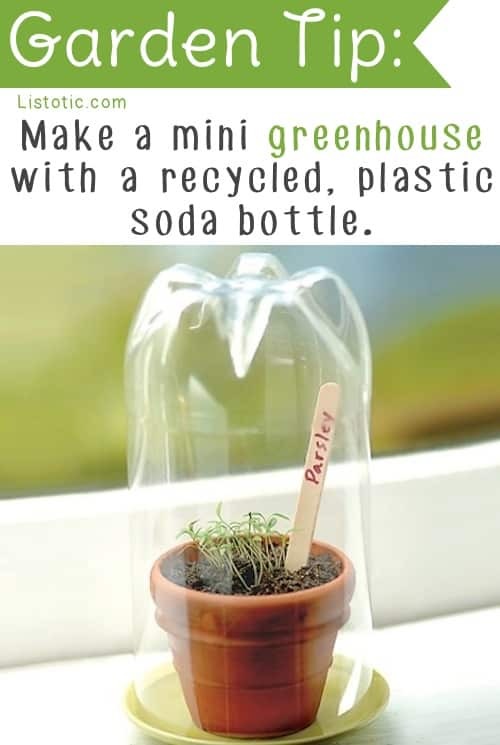 The bottom 3/4 part of a plastic soda bottle makes for the perfect little dome to cover your little pots with. You can also use the top of the bottle, just keep the cap on. You want high humidity! This would be a fun project to get the kids involved with. 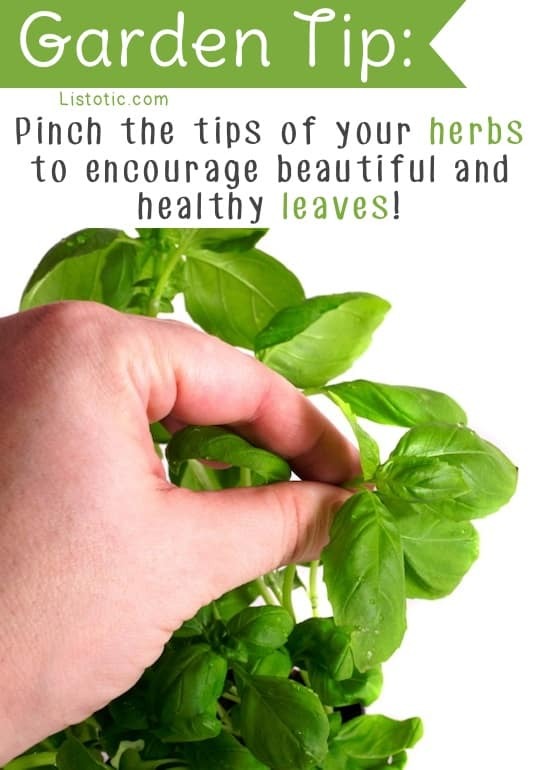 Pinch the upper portions of your herb plant stems off (basil in particular) to encourage new leaf growth. Herbs have a natural instinct to stay alive and multiply, so when they are pinched, they send a signal to the dormant leaf buds to grow. It’s strange how this works, but it’s true for most plants.